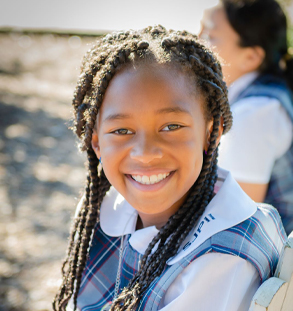 As a Catholic school, our faith provides the foundation for all that we do. Biblical teaching guides our interactions at each grade level and in all subjects. Our beautiful campus is located on 20+ acres, and it includes soccer and baseball fields, a basketball court, an abundance of playground space, a picnic area, and a lovely garden.